Our Indoor U.S. Flag Sets will impart a beautiful touch and personality to any office or public room and will ensure a spectacular flag presentation. 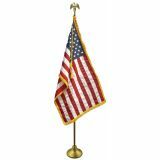 If you are looking for a perfect flag display set, you are at the right place. 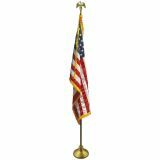 These indoor flag sets are well suited for displaying any indoor flag including state flag, company flag, national flag or international or organizational Indoor flags. 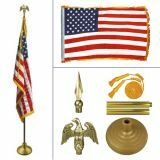 We offer complete flag sets including eagles, spears, poles, bases and tassels which will ensure a seamless display and a dramatic presentation. Shop from our collection of Indoor U.S. Flag Sets and avail the advantage of the best prices, quick shipping and much more! 100% customer satisfaction guaranteed! The Indoor U.S. 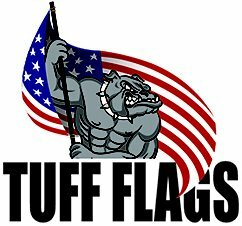 Flag Sets from Tuff Flags will enhance your flag flying experience in no time!We have a line of American Flag sets and hardware for indoor display and parades. 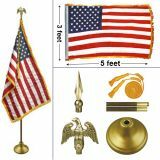 100% made in America, these flag sets include flagpole, pole ornament, and floor stand, Guidon Pole Sets & Hardware and gold tassels and cord.The flag set includes the weighted gold colored base, polished oak pole, tassels, eagle top and the US flag with embroidered stars and sewn stripes.Our exquisite indoor US flag sets will give a luxurious finish to any space including offices, courtrooms, boardrooms and lobbies. Our Indoor U.S. 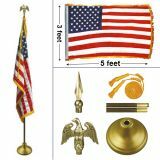 Flag Sets will make a welcome addition to even homes and houses of worship to highlight the American Pride. Take a look at our fabulous collection of Indoor U.S. Flag Sets to choose a model that will match your needs and budget. 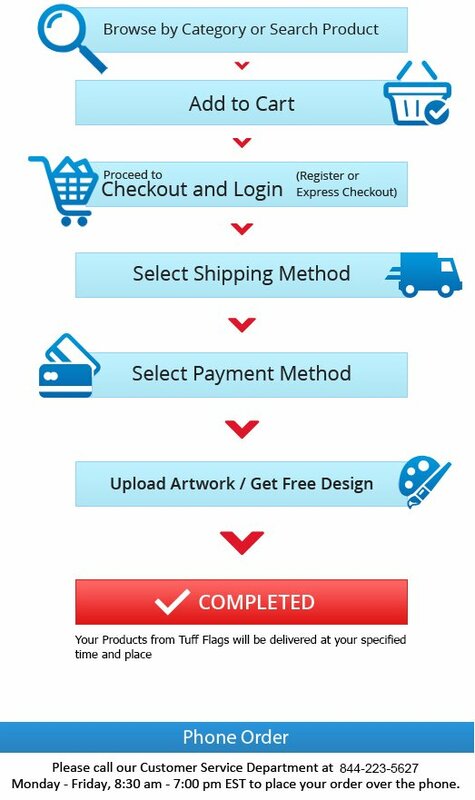 Should you find it a bit overwhelming, please feel free to call us at (888) 287-3524 or email us at customercare@tuffflags.com for assistance and shopping tips.